We’re an official club for game development at Rensselaer Polytechnic Institute, dating back to 2001. We provide a community and resources for game developers at RPI, whether they’re hobbyists or in the Game Simulation Arts & Sciences program. Every week we meet for discussion and to show off our recent work. We also have workshops that teach concepts in game development in any discipline, as well as open development time sessions where you can get together with others and get work done on your games. About three times a semester, we have 24-hour Game Jams. If you don’t already know, game jams are events (like “hackathons”) in which you develop a fresh new game during the length of the jam. 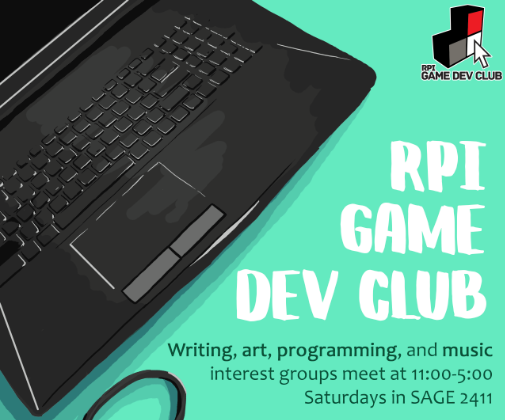 We meet in Sage 2510 at the beginning of the jam for the unveiling of the theme and to form groups, and then we meet back 24 hours later in the same place to eat pizza and show off our games. We often have judges from local studios like First Playable and Vicarious Visions, which gives you a chance for professionals to see your work. 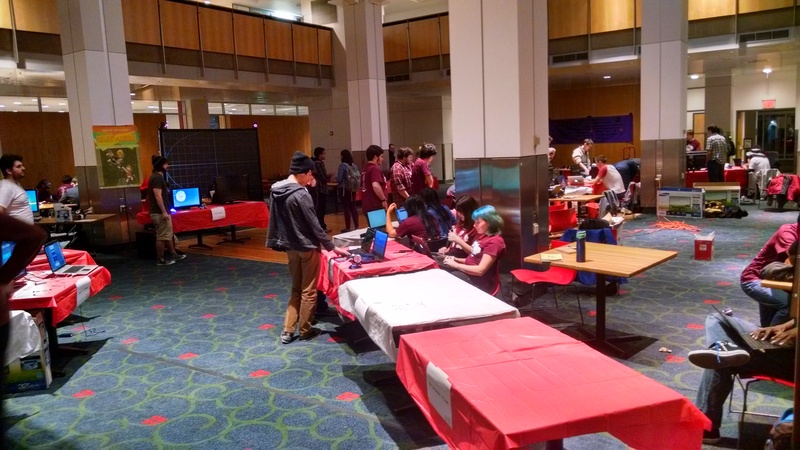 Lastly, we run a small convention “Rensselaer Game Showcase” every November in the Student Union. We invite the local game dev community to submit games for showcase, and then the rest of the event is open for the public to enjoy the games. Admission is free, with pizza and drinks provided. Other meeting times and locations are decided during the semester, and these can be seen on our Facebook group or via our mailing list. Simply come to a meeting and introduce yourself! You can ask us either in person or by e-mail to be added to our mailing list. Don’t be shy! If you still have more questions, don’t hesitate to contact us. 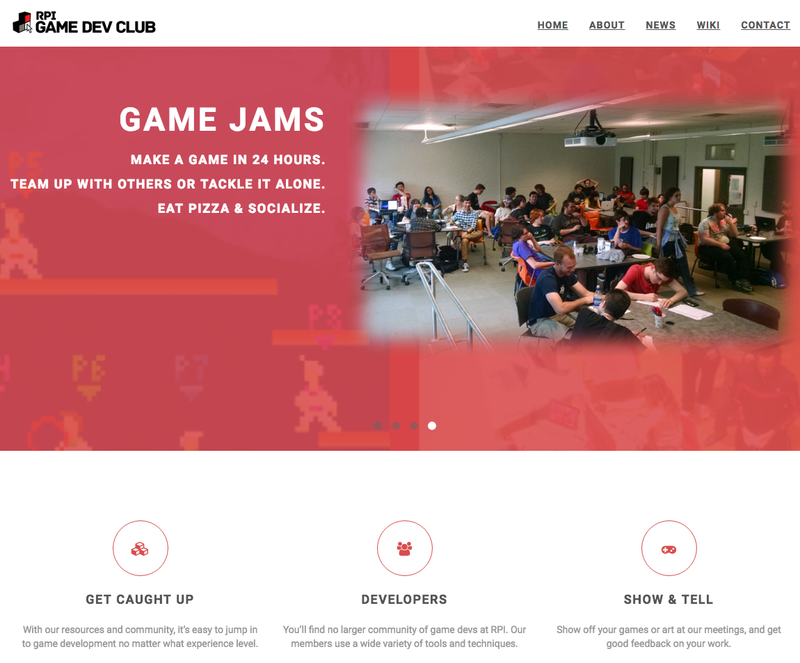 We're a club at Rensselaer Polytechnic Institute for students and faculty who make games. We provide a community and resources for those interested in game development. Copyright (c) 2017, RPI Game Development Club; all rights reserved.